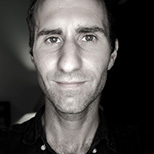 Tom Miller is an artist, musician and filmmaker. His production company, PrettyGoodProductions, is focused on social justice issues, art and the environment. Tom is currently an executive director and producer for Our Place on Earth.